Sergeant Dietrich Schmieman was born on Jan. 9, 1991. 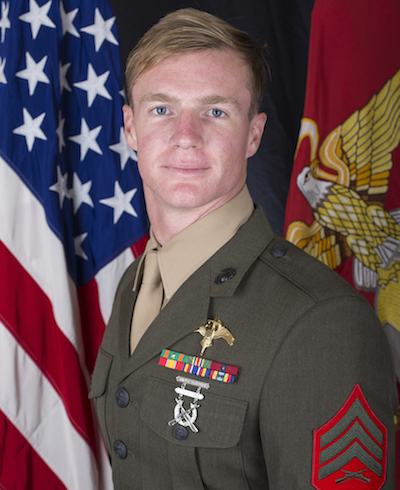 He attended Basic Training at Marine Corps Recruit Depot San Diego in September 2010, and upon completion, he attended Marine Combat Training at Camp Pendleton, CA and the Enlisted Basic Supply Course at Camp Johnson, North Carolina. Sgt. Schmieman reported to 3rd Reconnaissance Battalion in April of 2011 and was promoted to Lance Corporal in October 2011.